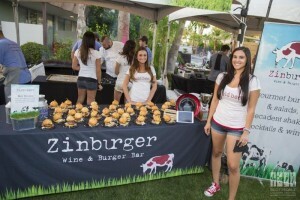 It’s all going down on Thursday, March 24th when over a dozen of the Valley’s top restaurants and local chefs will light up their grills and compete for the title of Best Burger in the Valley during the annual Burger Battle from 6:30 – 9:30 p.m. at Hotel Valley Ho in Scottsdale. 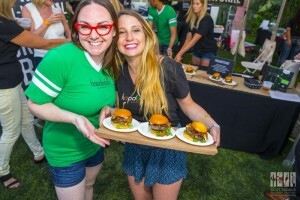 Presented by Leinenkugel’s, hungry patrons will enjoy tasting mouthwatering burger creations and voting for the best burger to bestow the People’s Choice Award. A panel of culinary experts and local celebrities will taste their way through the grills and select the Judge’s Choice Award winner. Two lucky chefs will win the golden ticket to compete in the World Food Championships in November. 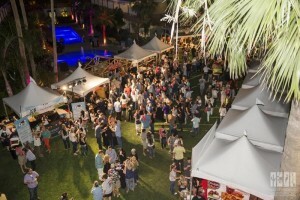 Participating restaurants include chefs from Aioli Gourmet Burgers, Tavern Americana, Cold Beers & Cheeseburgers, Bootleggers, Casino Arizona, Casablanca, Hopdoddy Burger Bar, LuLu’s Sorbetto, District American Kitchen and Wine Bar, Zinburger Wine and Burger Bar, Black & Bleu American Grill, Mariposa Latin Inspired Grill and ZuZu. Sponsored by Jennie-O, tickets to this event include all the burger tastings you can eat, ice cold Leinenkugel’s beer, fries, dessert, lawn games and live entertainment by the Groove Merchants.